Reykjanes Peninsula, barren and wild with a lot of hot springs. The Reykjanes peninsula is an absolute must. Of course, it is pretty nearly unavoidable, as most travelers land at Keflavík Airport, right on the spot. When you drive from the air terminal to downtown Reykjavík, you are bound be struck by the desolate beauty of the lava fields on both sides of the road, and then there is the grey and stormy sea, waves beating on a barren coast. 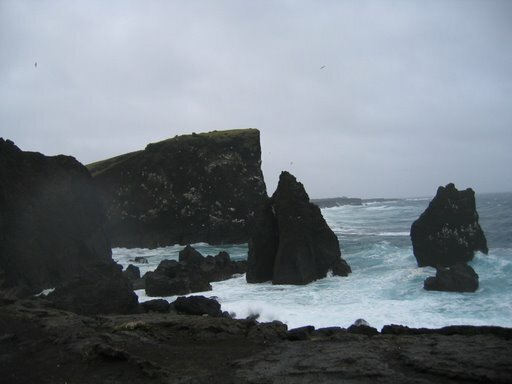 Yes, this is it, the Reykjanes peninsula. 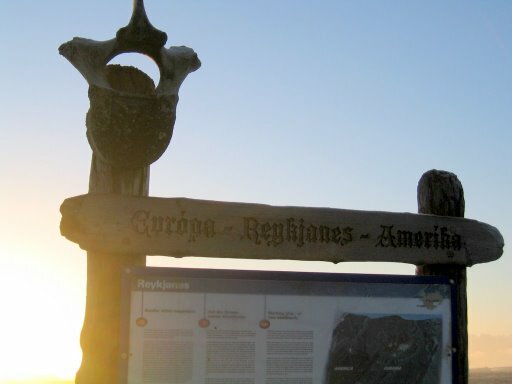 There are several interesting hikes to be made on the Reykjanes peninsula. It is astonishingly wild, in spite of its location close to the capital, stark, raw and mysterious. The hikes are fairly well marked. Follow them dont get lost, and do remember to take your rain-clothes along, even if the sky is clear. You are close to the sea. It beats violently upon the barren shore in this area, an impressive sight of this element. You get an excellent view of the sea at the Reykjanes lighthouse. There are some picturesque cliffs nearby, and it is an unforgettable sight to behold the foamy waves beating upon the dark rocks. 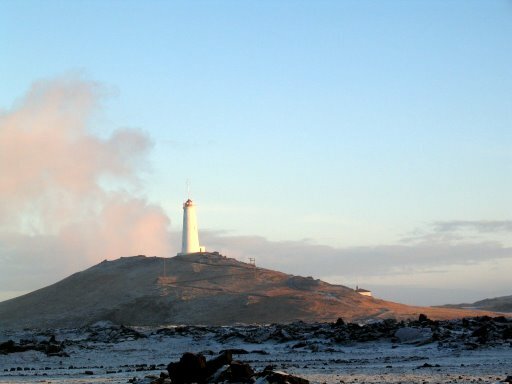 There is much more to the Reykjanes peninsula than meets the eye, hot springs and all. The landscape is awesome in its stark beauty. Lake Kleifarvatn is a deep and icy lake nestling between barren mountains, hot springs steaming on its banks. Once you're there, you really find yourself in the middle of nowhere, yet you are quite close to the city. Astonishing and good for the soul, we find. While youre at it, you might as well have a look at the bridge between continents  the American one and Europe. You will pass it on your way to the Reykjanes lighthouse. 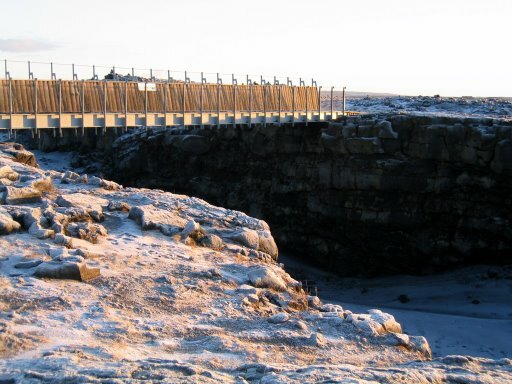 The bridge is new, there is a parking area and instructive, slightly kitchy boards, but the sight is remarkable for the panorama and the wilderness of the surroundings. If you are driving around the peninsula, be sure to look for the Gunnuhver site, unobtrusively signposted. A beautiful hot spot - no pun intended - a small garden of steamy mud springs. Gunnuhver is an awesome sight. You will come across a signpost leading to it just as you leave the lighthouse. It is a huge, boiling mud spring. This is actually mud, not just plain boiling water. Boiling mud is very much hotter than boiling water, you know. You don't want to know. 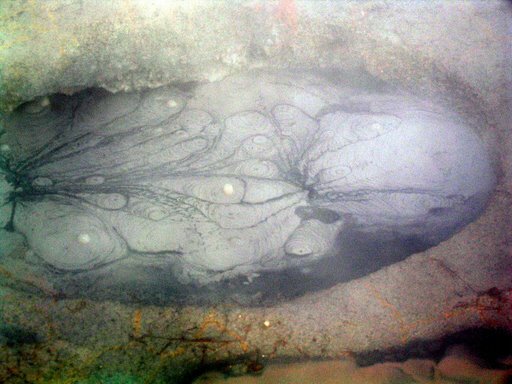 Boiling mud is eerily beautiful. No, you're not hallucinating. The earth is smiling at you. Sulfur is incredibly pretty. So is brimstone. On your way to Reykjavík, you will pass a signpost showing the road to the Blue Lagoon, were you will see Keilir, the pyramid mountain. The Blue Lagoon is truly a unique site for an unique experience. Hot springs, anyone? 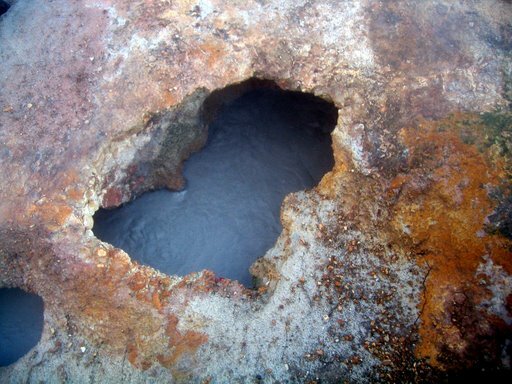 The geothermic power station towers over the milky, smoothly steaming pool located in the middle of a huge lava field. Some will find that the place is a bit too much on the tourist side, but there really is nothing like it, so swallow your pride and wallow in white mud. The water is warm and thick with this lovely mud that will make your skin smooth and firm in a jiffy. It is believed to cure eczema. 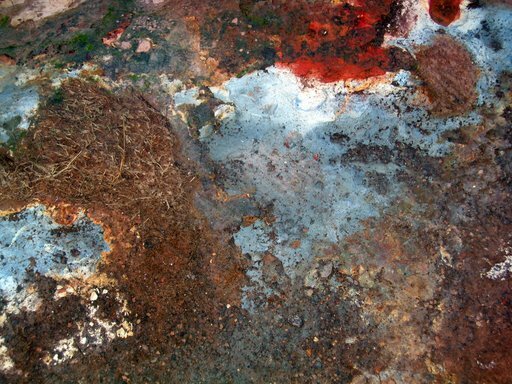 Play with the clean mud, make a mask, try the steam-bath, take a swim, admire the glistening pearly surface of the lava touched by mud magic.